The Earth exerts a gravitational force on all objects. A rocket must have a force greater than gravity to lift off. This force, acceleration, can be measured with a micro:bit in 3 different directions or as a combined force of all three. 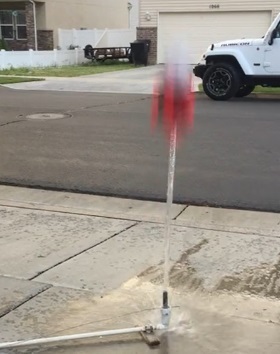 A rocket made from a two liter soda bottle is made as a test vehicle to measure changes in acceleration as it lifts off and falls back to the earth.